As I unboxed, I found chicken biryani, pudina raita and salaan in it. The quantity provided was a little more for one person and a little less for two. So, my husband ordered another one from the same outlet as we were expecting a friend as well for dinner. 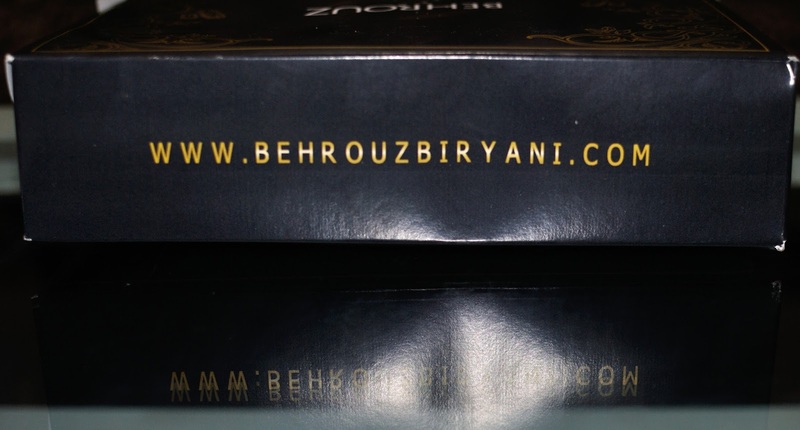 While placing the order we came to know that Biryanis come in sizes- Regular, King Size and Kilo Biryani. So we ordered a King Size Mutton Biryani which costed us 600 bucks. Again this time, the delivery was on time. I was a bit taken aback when I saw that the quantity of Mutton Biryani that I received for the king size, was the same as that of the free one. This means one needs to order 2 King Sizes for serving 3 people. The Biryani aroma filled the room as we filled our plates. Overall Verdict: Though the packaging and punctuality increased my expectations, the food did not live up to it. A very high price point also could not be justified from my experience with Behrouz. I therefore settle to give a 3 rating overall. I ordered it online and also got discount on it. If anyone needs discount, here.